In the event of a death, please contact the person’s doctor – a doctor must certify that death has occurred. Normally, funeral arrangements cannot be completed until the doctor has signed and issued a Death Certificate. However, please contact Shakespeare Funerals and we can start making some of the appropriate arrangements, including the collection of the deceased to bring them into our care from their place of death. During this initial stage, we will talk to you about an appropriate time to meet to make the funeral arrangements. Call your Doctor who has to confirm the person is deceased and issue a Death Certificate. The Nursing Home will call a Doctor to confirm the person is deceased and issue a Death Certificate. The Nursing Home (or family) should then call Shakespeare Funerals. The hospital will inform you of the death. Staff will then arrange for a doctor to issue a Medical Certificate of Cause of Death. You will be given your loved ones belongings. Please contact us and we will arrange a meeting with you and your family to discuss all funeral arrangements. We understand how traumatic it can be dealing, not only with the death of a loved one, but then having to deal with the logistics of bringing them home. 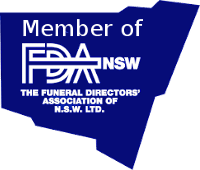 Shakespeare Funerals can liaise with the relevant authorities and funeral directors on your behalf. In all instances, please contact Shakespeare Funerals and we will arrange a meeting with you and your family to discuss all funeral arrangements.